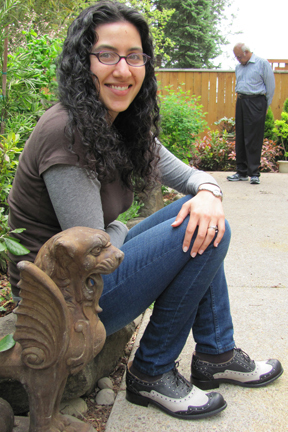 Since it's the start of a new year, I thought I'd look back at 2011 through gargoyles. Even though I wasn't able to travel much last year, the year was still full of gargoyles. 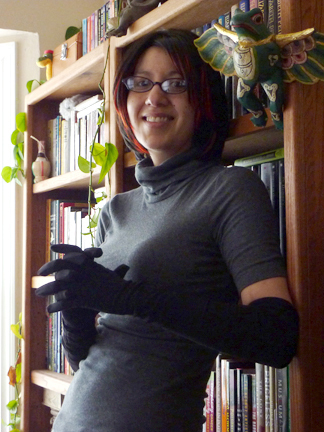 This post might help explain why I'm Gargoyle Girl. 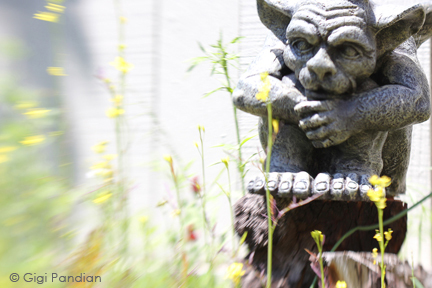 Early in the year, we found a gargoyle to put on a tree stump in our backyard. He watched over the construction of our new garden path. 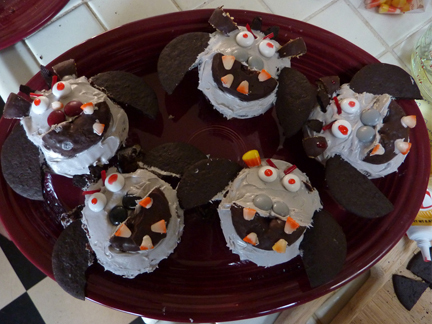 Friends baked me gargoyle cupcakes. 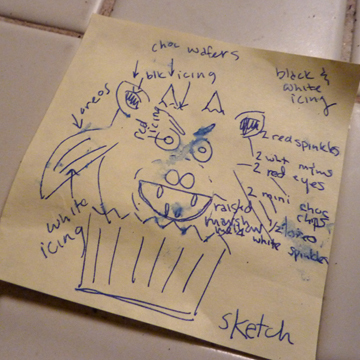 They had to make up the design of the cupcakes themselves! 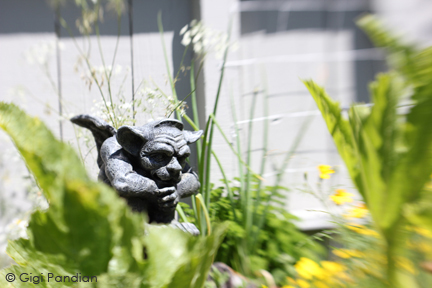 Wonder where my fascination with gargoyles came from? Here's a photo of me visiting my parents in Oregon for my dad's birthday last year. 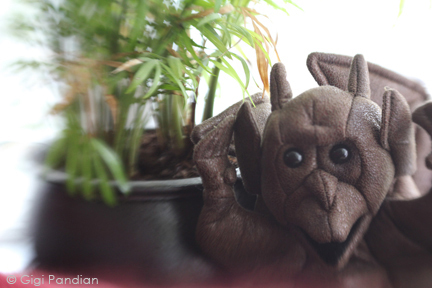 When I was diagnosed with cancer last June (which is why the blog was on hiatus in July and August), my aunt sent me this gargoyle puppet. 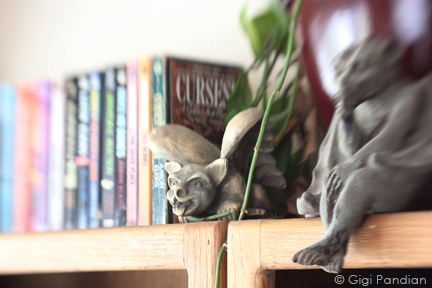 While I was stuck in the house, I began taking lots of photographs at home, such as this one of gargoyles on my bookshelf. 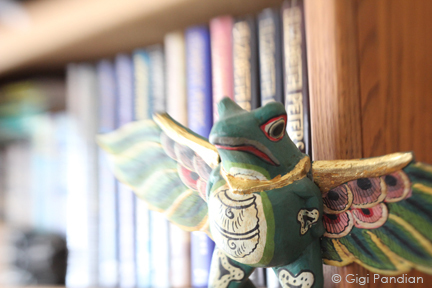 My flying frog monster isn't technically a gargoyle, but since most sculptures we think of as gargoyles aren't technically gargoyles either, he's close enough. 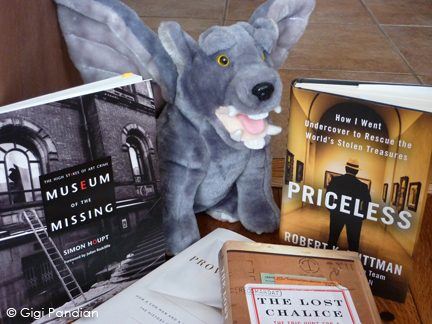 Stuffed-animal Dorian the Gargoyle is shown here with some books on art theft that I was using for research before National Novel Writing Month (NaNoWriMo) in November. 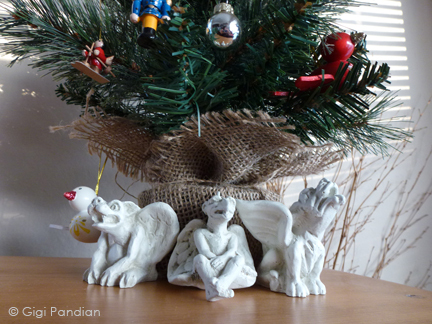 Several years ago I was given a set of gargoyle Christmas ornaments. 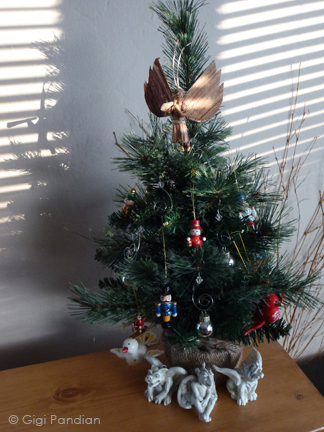 I only put up a mini tree with mini ornaments this year, so I put the gargoyles underneath. It wasn't the easiest of years, but it ended well and I'm looking forward to the new year. 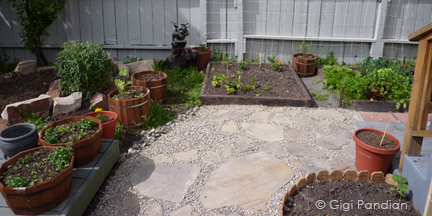 I'll be traveling again by later on in the year, so I'll be posting a combination of old and new photos here. Have a Happy New Year!